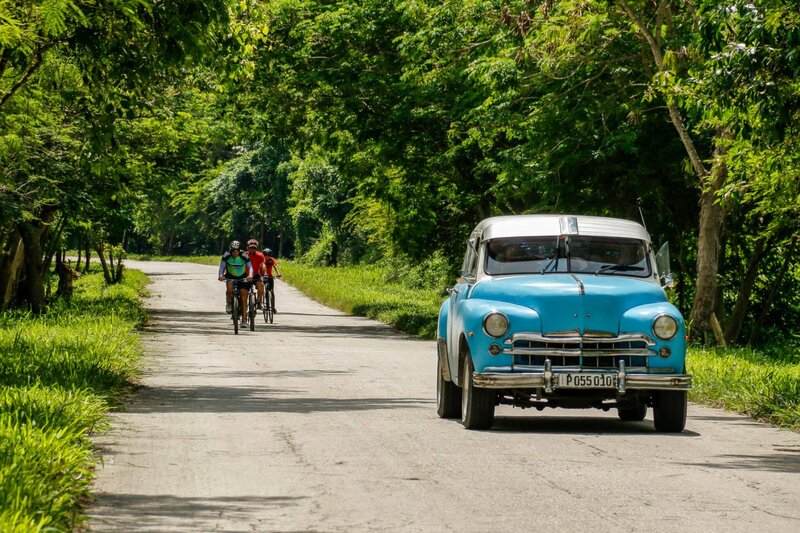 Pulling up to a creaking Chevrolet, stopping to watch a hummingbird flutter in the hedgerow, cycling with Cuban fishermen beside the shimmering Caribbean sea… these are just a few of the things that make biking in Cuba simply magical. 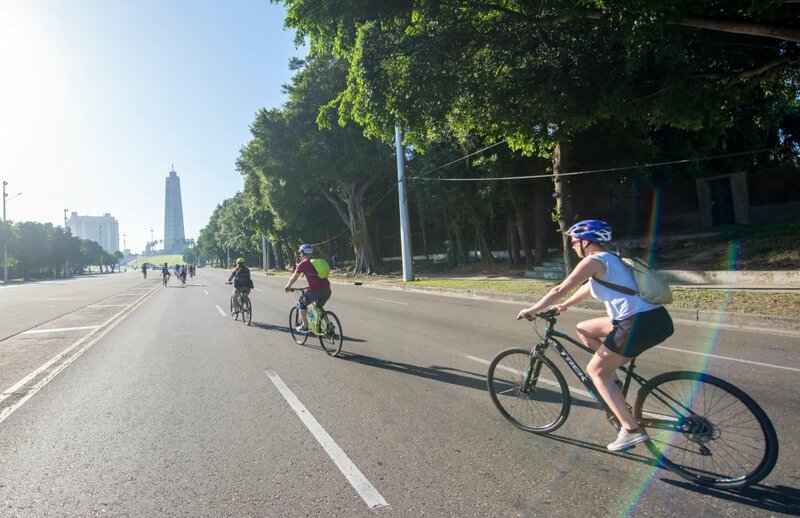 Skip the bus, jump on your bike and do it the Cuban way! Discover Cuba with the most experienced bike team on the island. 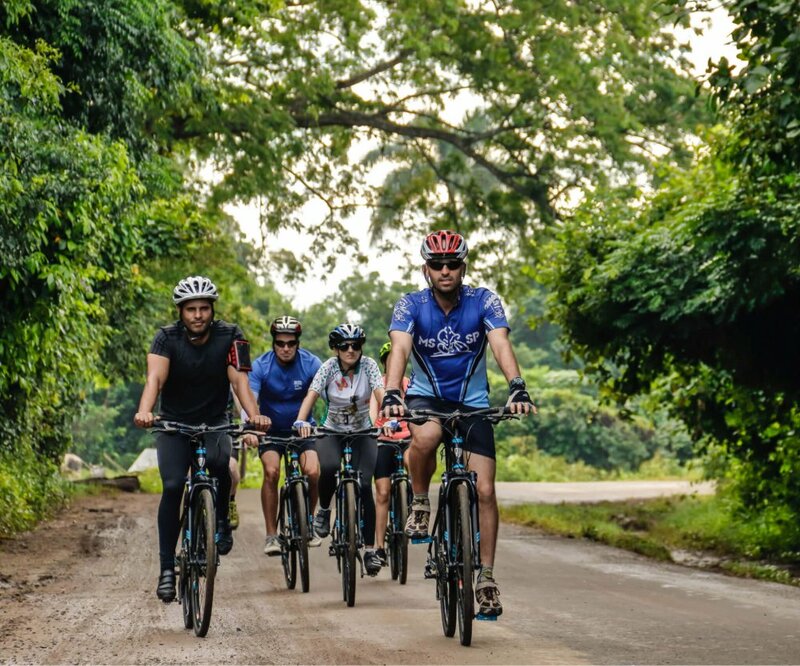 Great minds think alike, get great group deals and enjoy amazing adventures together! 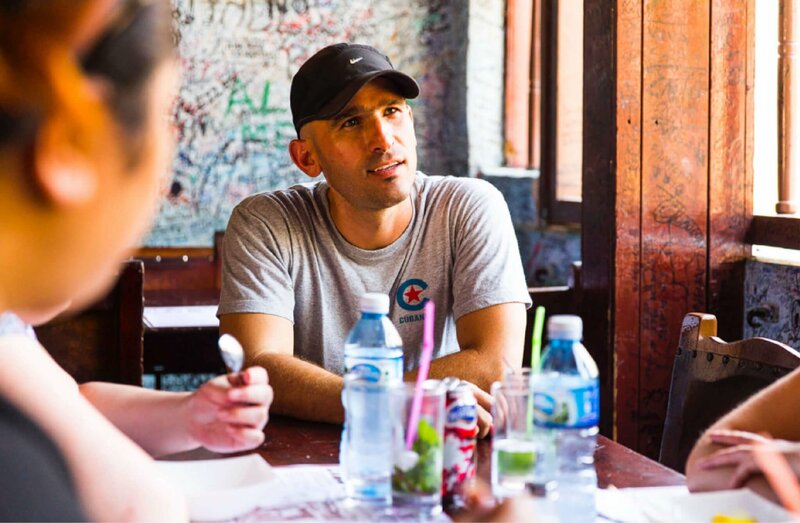 Immerse yourself in the local culture and experience it with all your senses. 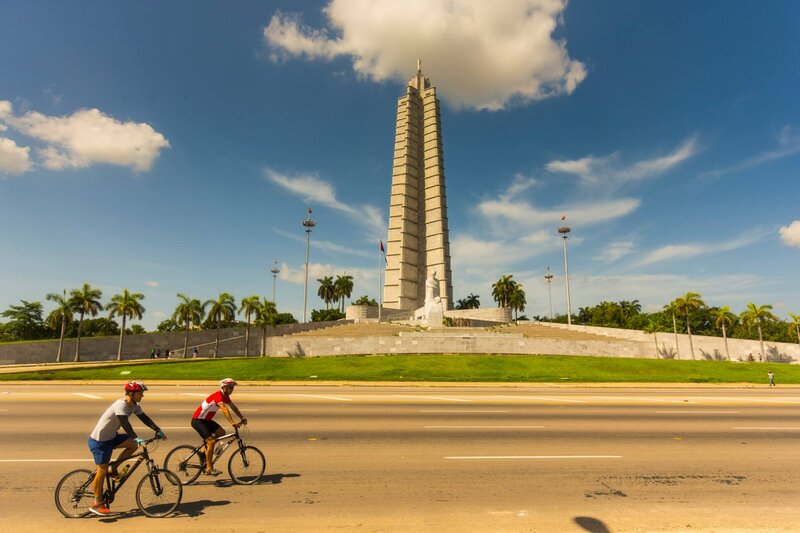 Photos are great, especially somewhere as photogenic as Cuba, but there’s a reason we have 5 senses! 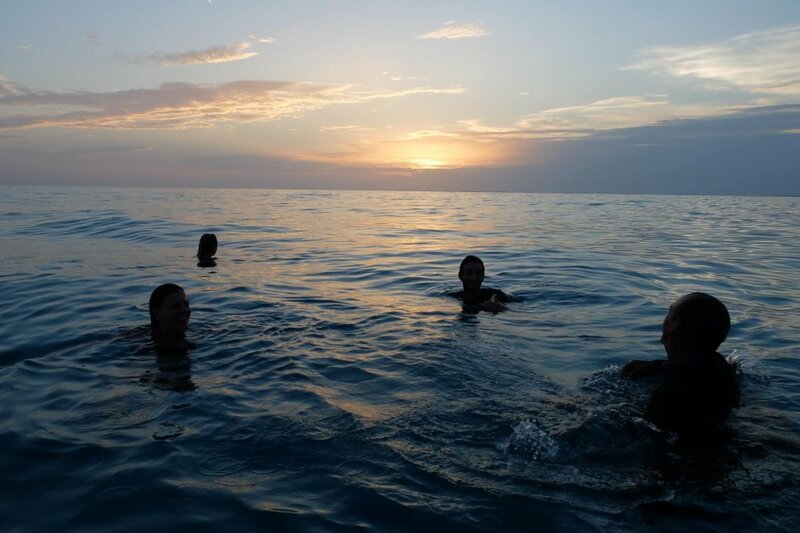 Calm Caribbean waters need to be dived into, world-class music needs to be heard en vivo, fresh coffee needs to be smelled and mouth-watering cocktails need to be tasted! 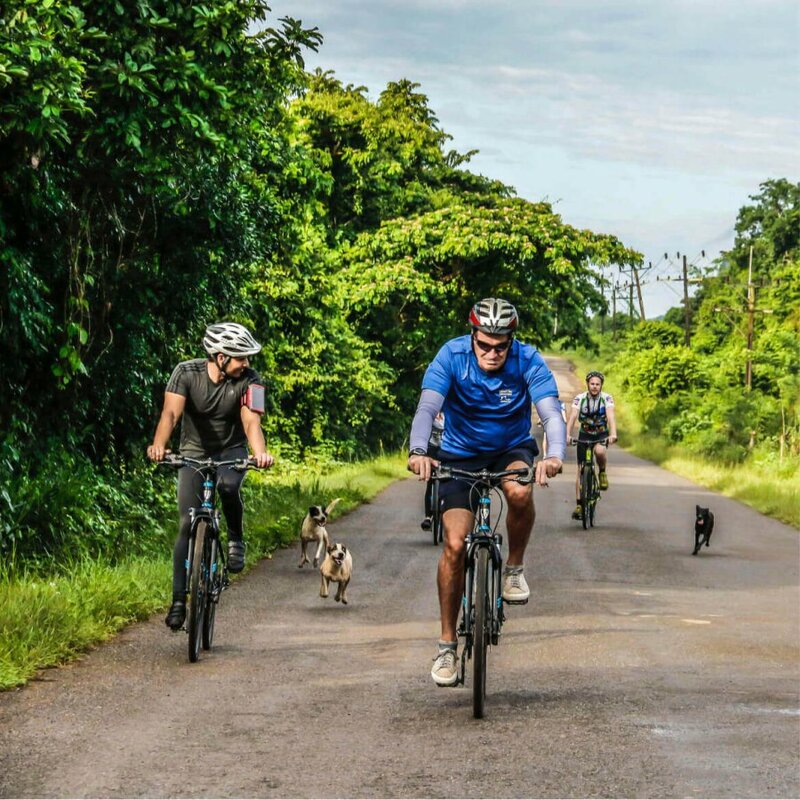 Everyone has their own riding rhythm – some love to push themselves all the way while others want to absorb Cuban life as they cycle through it. 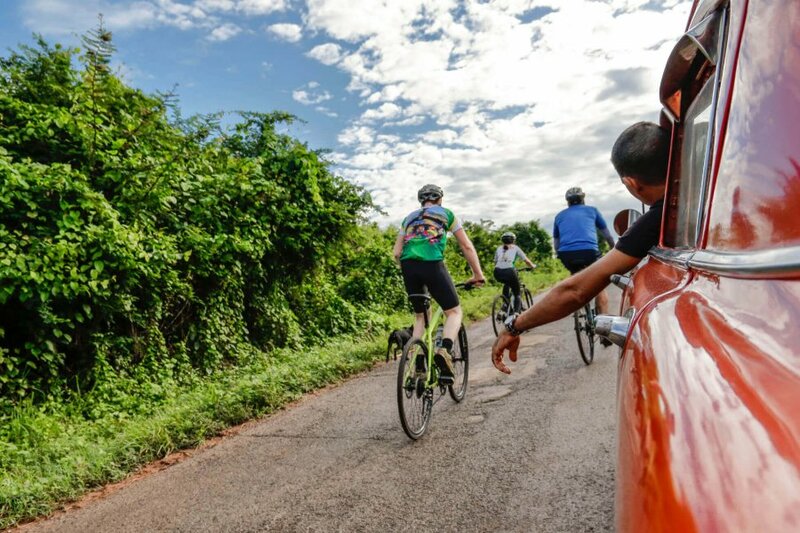 The Cuban way is doing things at your own pace - all our tours have a support vehicle to carry your bags, offer you a rest and supply you with snacks and water whenever you need them. 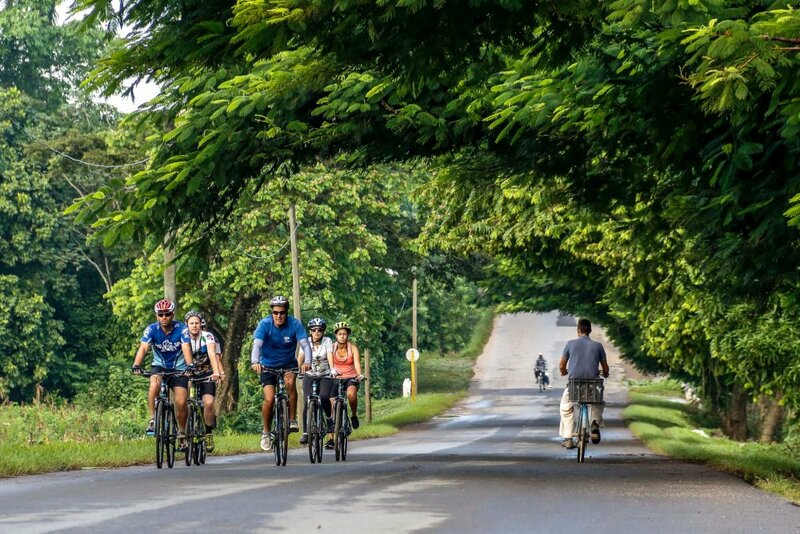 Group travel is for explorers who want to discover places only the locals know and who are ready to embrace the unconventional. 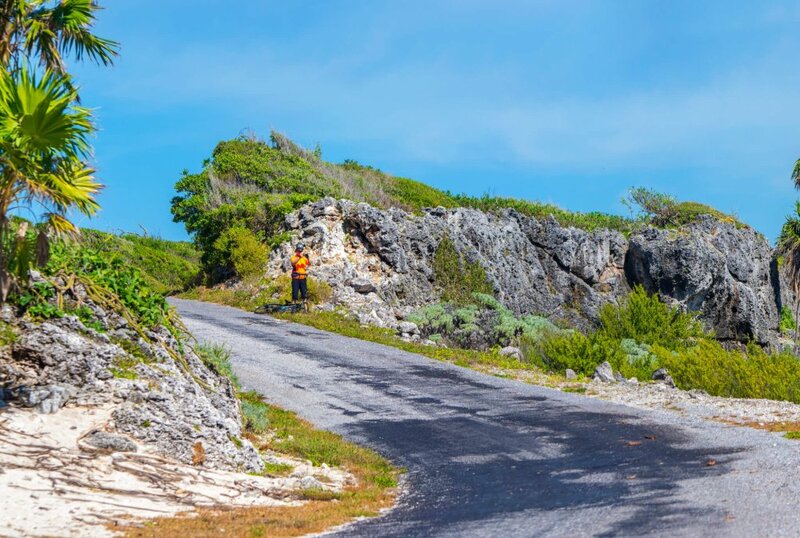 Share stories and make new ones with fellow travellers as you navigate this enticing island. 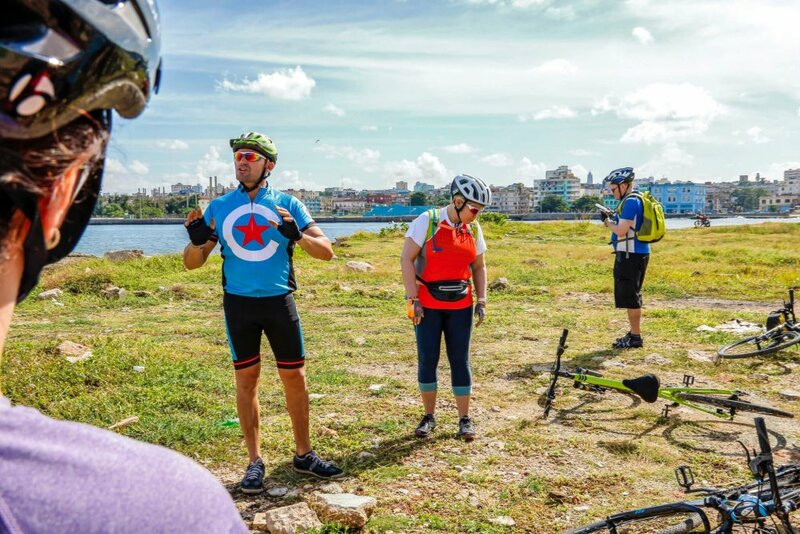 If you see adventure in a little chaos, Cuba is the place for you! 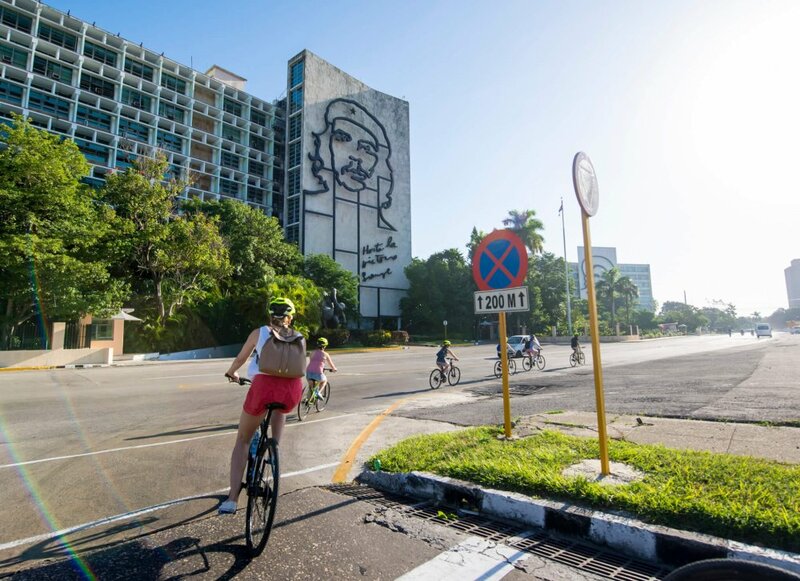 Potholes and power cuts are commonplace but you’ll be intoxicated by the creativity that oozes from the hip bars and art studios in Old Havana. 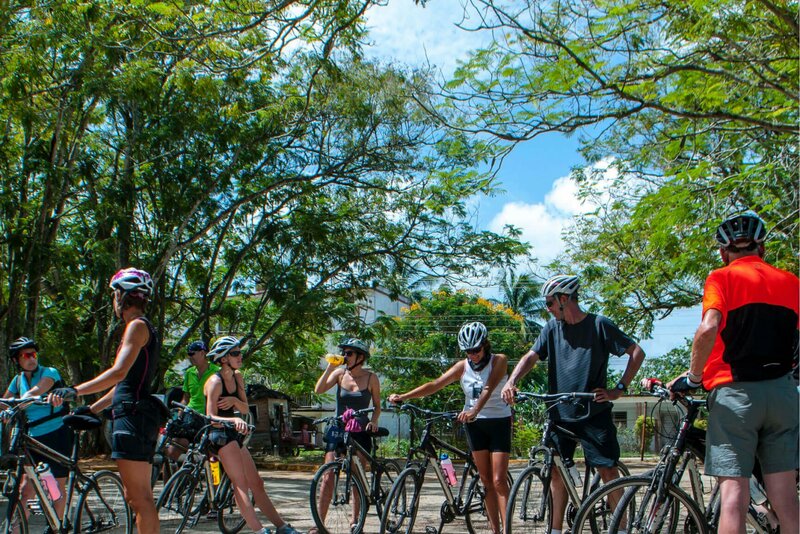 Visas, permits, bike hire, accommodation, transport… we take care of everything behind the scenes so you can concentrate on exploring Cuba! 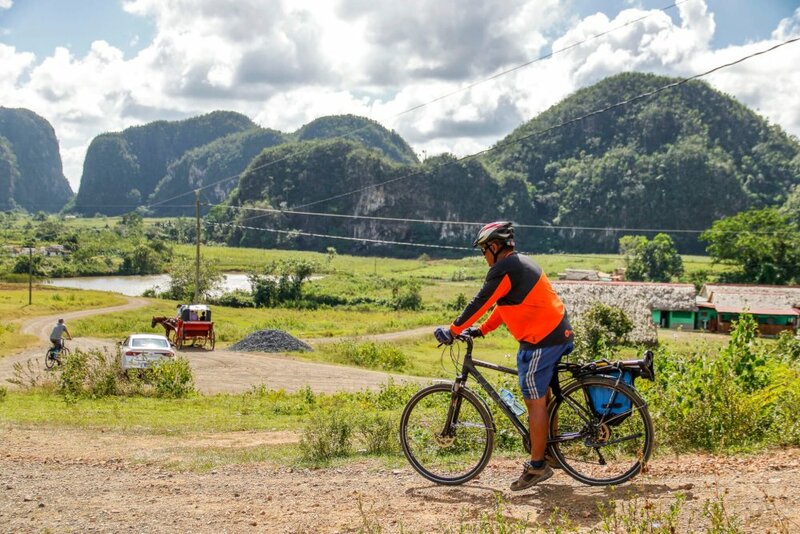 The best bikes in Cuba, maintained by the best mechanics in Cuba! 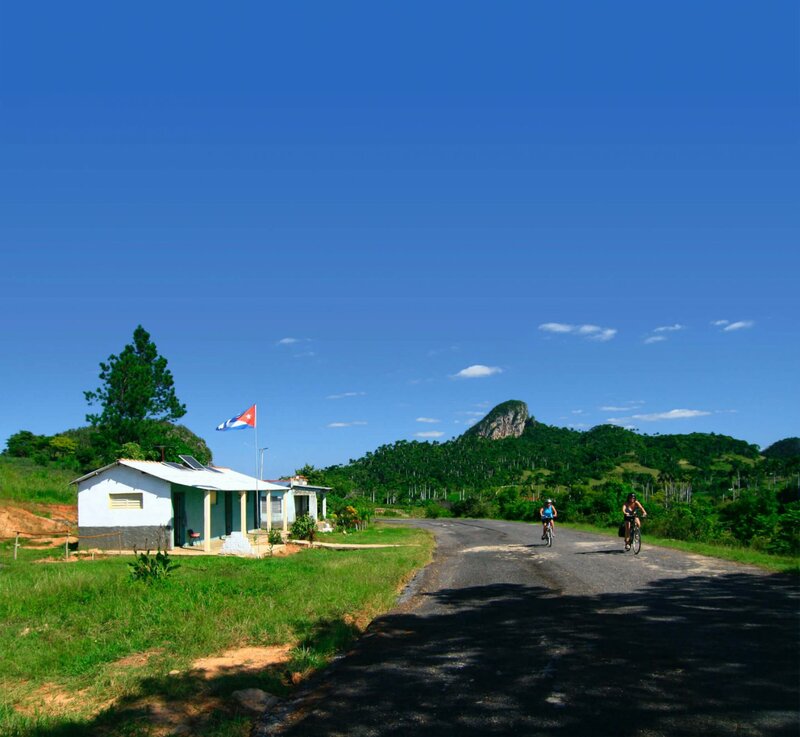 Brilliant local guides, excellent support staff in Havana and 24 hour emergency assistance. 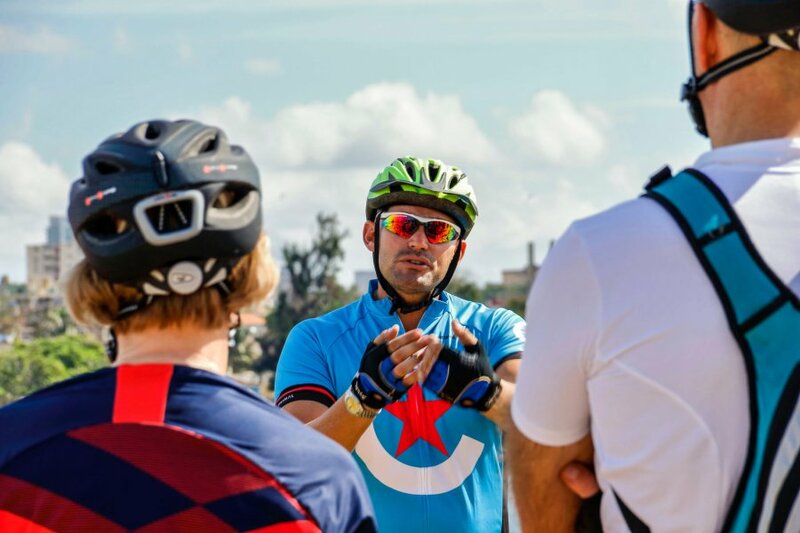 Focus on the ride while our highly-trained support staff take care of everything else.